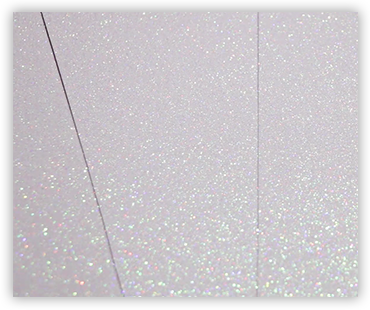 Diamond Print Glitter paper… see and feel the difference! 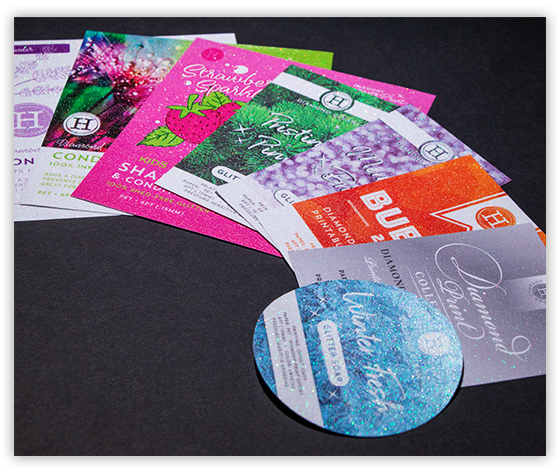 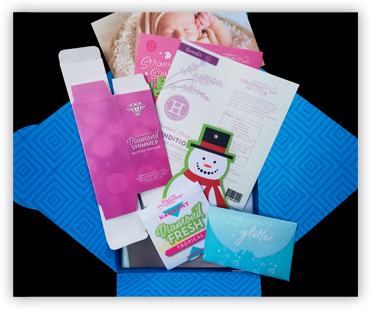 We offer a selection of spectacular samples that showcase different paper varieties and printing processes. 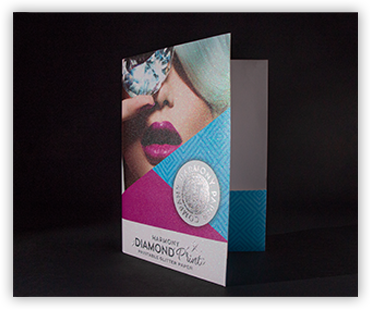 Each piece includes information about the printing process, paper type, weight, and thickness. 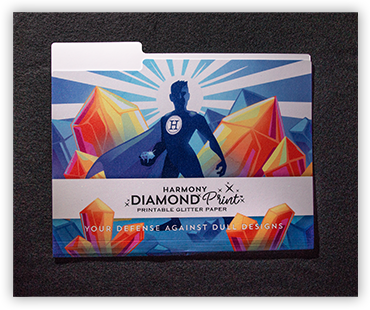 This one-of-a-kind Diamond Print Glitter file folder with foil stamping and a unique printed design is sure to show you how Diamond Print Glitter paper is your defense against dull designs and packaging!